We should have expected the hard working Android developer community to pump out a tablet optimized Facebook app before the actual Facebook Corp, and Locomo Labs have done it. They are a developer team we have featured a few times, and have made some other great tablet optimized apps you may have heard of called Tweetcomb, and Newsr. 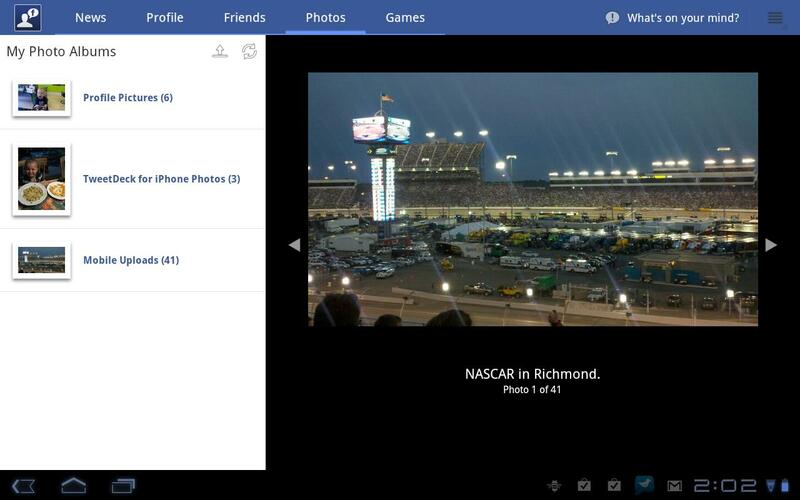 This app allows for some great features of Facebook to really shine with in-app gameplay, and full size photo viewing. Now you can haul your crops on Farmville and play Zynga Poker wherever you are. If you’ve been looking for Facebook to fit your tablet, and you’re tired waiting, then check out Friend Me.